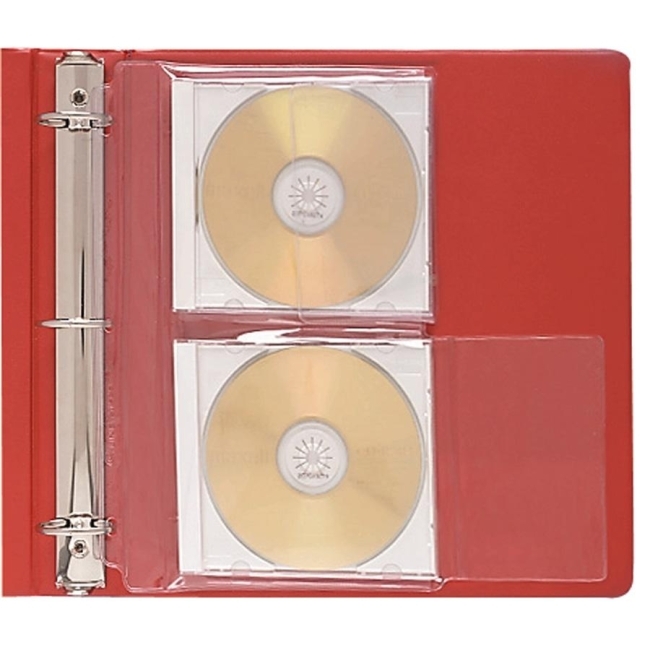 Organize and store CDs in standard three-ring binders. Great for software program, game and music CDs. Heavyweight vinyl offers clear view of CDs, while providing superior protection. Each page stores two CDs with cases. $5Baumgartens Kanga Sticky Pockets CD/DVD Pocket - Clear 5 / Pack - 5" x 5"
$8Cardinal HOLDit! CD/DVD Disk Pocket - Clear 10 / Pack - 5" x 5"
$6Cardinal EasyOpen Card File Binder Refill Page Clear - Letter 8.50" x 11"